I’ve been taking another look at old code recently, and I dusted off a couple on-the-fly smart cropping demos that I wrote, years ago. At the time, they relied on questionable hacks and ran extremely slowly, making them impractical for real-world use. However, with the rise and widespread adoption of CSS3, and the recent incorporation of Responsive image srcsets into WordPress 4.4, The timing seemed right to finally complete the toolkit, and offer WordPress users truly responsive images. 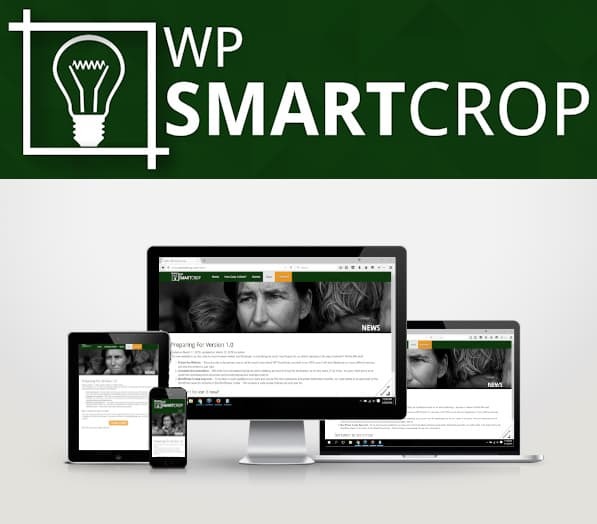 WP SmartCrop is a free WordPress plugin that allows you to specify a ‘focal point’ for the images you upload. Then, when the image is used in a post, or as a featured image, it will automatically crop the image to any dimensions set by the site’s stylesheet. With this new feature, you can (for the most part) decouple your media from your design, without sacrificing the impact it has for viewers.